Did you know that the user base of Facebook has reached a mammoth 1600 million mark worldwide? At 300 million plus user base, Twitter too is rising up the chart and making its presence felt. The same stratospheric numbers are a reality for some other social channels such as YouTube, LinkedIn, and Tumblr. Statistics however convey only half the picture – they might not tell how much these social channels has influenced societies across the world. As per data from Brand Watch website, 38% brands are ready to up their advertising budget on social media by 13%, from what they did a year ago. As per the same website, 91% retail brands user 2 or more social channels while 83% of Fortune 500 Companies have a presence on Twitter. From all this above, it’s clear that, social media has grown a lot over the years. From a fun platform to share and converse together, it has metamorphosed into a giant of sorts. It has evolved to such an extent that brands can’t ignore them when they plan their internet marketing strategy. Social media has transformed the landscape of interactions with customers. Now, brands are well-placed to reach out to their target audience based on demographics, convert them into prospects and understand their requirements better. 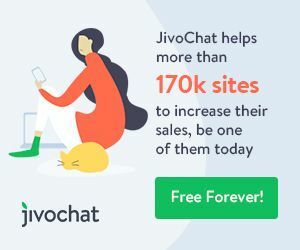 Although social channels have enriched businesses in more than one way, they have opened the prospects of getting negative feedback much easier than it used to be the norm. Any customer, or say user, can reach out to the business and shape feedback or opinion. Negative reviews or feedback can rattle the best of brands in the world, as their impact can be debilitating at times. It’s therefore important to approach negative feedback from customers with a firm approach in place. 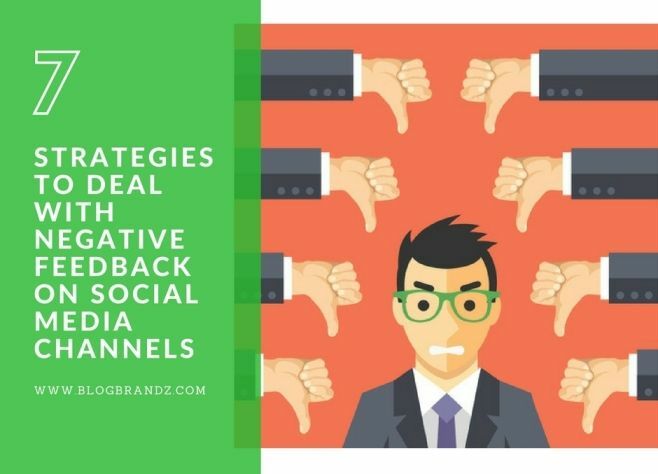 Here are 7 tips to deal with your customers’ negative feedback on social channels. The moment you get a social presence for the business, you should be aware of facing roses and brickbats in equal measures. You can’t expect only roses to come your way and brickbats to go your rivals’ way. You should have a proper plan in place to handle negative feedback. The last thing customers want you to take evasive steps and hide behind excuses. This will further aggravate the problem. You should face the criticism or negativity head on and rather than passing on the responsibility, own up to your mistakes. Social media is not free of trolls. Their writ should not extend beyond causing a mild nuisance. Troll are not meant to be taken seriously, as they are not your real customer and their complaint is not genuine. Experts suggest taking the complaint or feedback out of the spotlight once the issue is resolved. Not doing the same means you are giving new customers a chance to peek into a past that is not ‘rosy’. This can adversely affect your brand reputation. Don’t engage in a chain of response using social networks when the matter is complex in nature. Take it offline. Look to leverage customer service support via phone or email. It’d be wrong to assume negative feedback to be one-off event, so plan accordingly. Look at them as a permanent factor to your social presence. This means you need to have a system in place to be notified as and when feedback happens on social sites. The purpose should be to make your customers happy. This can be achieved in two ways – first, by responding them on an immediate basis and then assuring them of prompt action. If your customers have resorted to negative feedback, then something must have irked them or made them unhappy. No matter what the nature of complaint is, you got to be true to your brand. Which means, every negative feedback must be faced with the same plan of action. You have to be first empathetic and then take things forward. Irrespective of the cause or situation, you need to display a sense of hope so that customers can feel good. Don’t be evasive as it might hurt your brand a lot. Social media is a marketing channel you can’t ignore, as it opens a world of prospects for your business. So, learn the art of handling negativity with care and grow your business. read about latest technology trends. He works with Mind Digital Group. We usually ignore negative comments especially if it’s obvious to everybody that it’s only some kind of troll. That’s the best way to deal with trolls, Sammy. The thing I found that works well is if you accept blame for this online any tell them you will make it better, this is then seen by other members on the page. Good point, Alan. It does help to defuse the situation and calm everyone down. Fake News, Activism And Augmented Reality: Is 2017 Social Media’s Most Exciting Year Yet?